Congratulations to Nixxi Rose! Her ocean-inspired design changed our perception and made us face a stark reality. 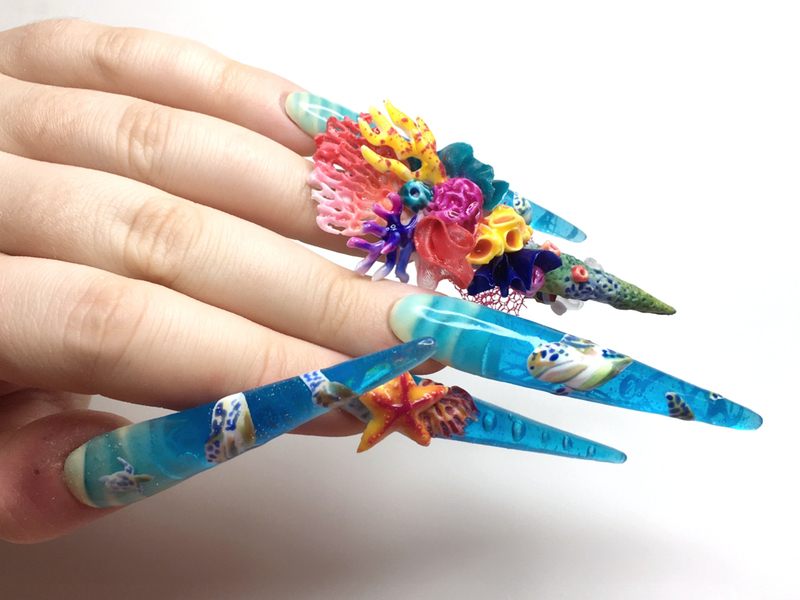 NAILS art director Yuiko Sugino said, “Excellent use of transparency and color to depict the concept. Beautiful intricate work on all elements — the water looks realistic and the coral texture is on point. AMAZING technique to show color change in corals, I can’t get over how incredible that is. Good tutorial, provides good advice and focus on detail, and music is fitting the topic well without it being distracting. Read more about Nixxi’s look here and here. Nixxi will receive a LeChat gift card valued at $500! The nail tech who will be packing her paintbrushes this week is … Jenna Jupin. Jenna has given us at NTNA two years of amazing, stylized, out of the box nail art and we’ve grown attached to seeing her videos. So, we are thankful that this won’t necessarily be the last we hear from Jenna. She will move on to CND’s Last Chance Design Lab where she’ll have one last chance to stay in the competition. Check back Friday to see who will move on in our Last Chance battle — Melisa or Jenna.